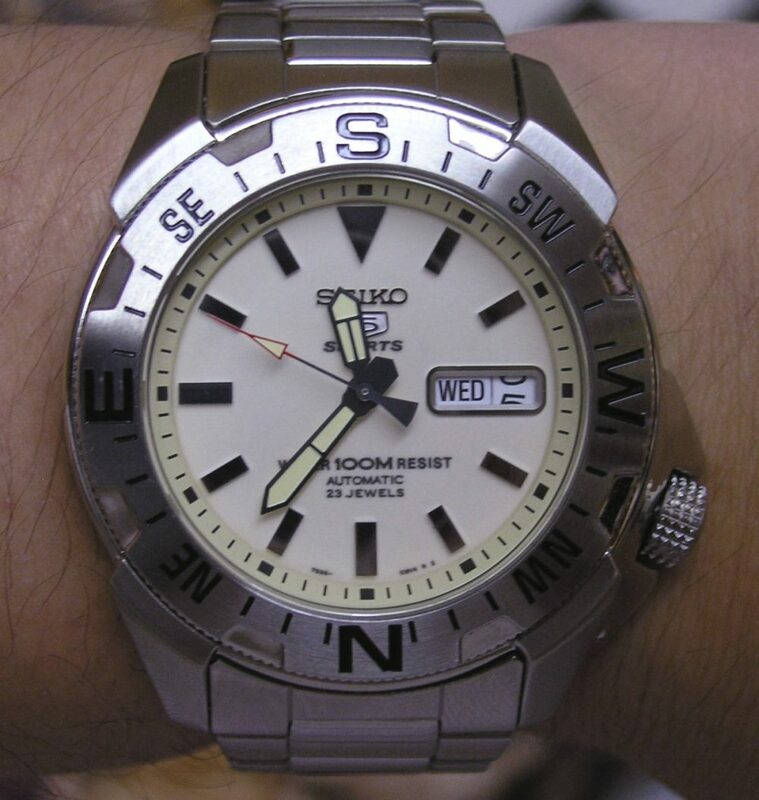 Overview: This is a first in a few ways, it is my first full lume faced watch, it is my first Seiko 5 Sports, and my first compass bezel and 7S36 movement watch. The 7S36 is very similar to the 7S26, except it has 2 more jewels. 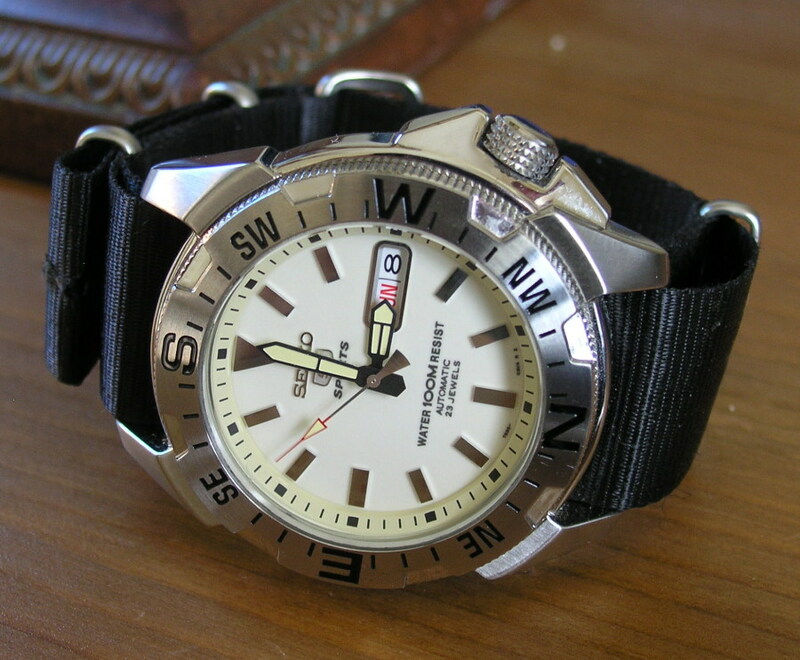 Case: 42mm diameter, stainless steel, 100m water resistance. Movement: Automatic, 7S36B, Seiko in-house design, 23 Jewels. No handwind or hacking. The watch really exceeds my expectations. The bracelet is very solid and high quality. I see why the sports models command a higher price than regular 5’s. 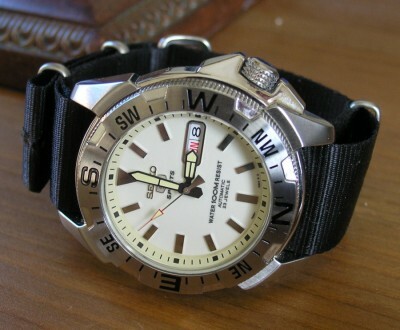 The watch is a nice size, big but not too big. The full luminous face is a very nice and useful feature. It looks like a little lighthouse when it is dark. The compass bezel is very well done with tremendous workmanship. 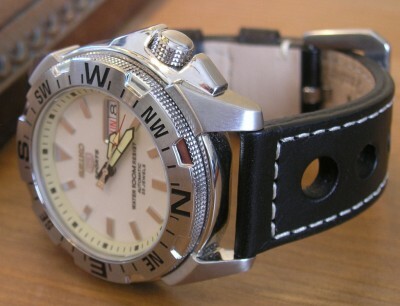 The lettering is as sharp as any Rolex as I have seen. It does not have detents, which is good for a compass bezel. Just line up South half way between the hour hand and noon and point the hour hand at the sun and you now know what direction you are facing. The hands really make the watch. The hands almost look mission style and the red tipped second hand jumps out against the face. The hour markers are very reflective and almost look like jewels. Overall it is a great watch and well worth the money.